In Hinduism, every day of the week is sacred, as each one is dedicated to at least one God. Hindus perform special rituals and prayers and undertake vratas and fasts in order to appease these deities. Incidentally, each day of the week is also associated with a nakshatra or celestial body from Vedic astrology - they also correspond to particular colours and gemstones. According to the Hindu almanac, the days are named after seven celestial bodies of the solar system, including the Sun, Moon, Mercury, Venus, Mars, Jupiter and Saturn. Fasting is an important aspect of Hindu culture. There are two different types of fasts. 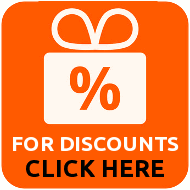 Upvaas is a fast undertaken in order to fulfill a vow. On the other hand, Vratas are fasts undertaken in order to observe certain religious rituals. Depending upon the followers' intent, they undertake any one of these fasts during particular days of the week. Ancient rishis (sages) used these ritualistic fasts in order to inculcate a discipline in their followers and help them channel their minds more sharply towards their ishta-devata (favourite God). Weekly fasts not only help detoxify the body, but also pave a path towards the divine; thus aiding in their spiritual growth. Vrata is a Sanskrit word, which means, "vow", "devotion" and "resolve". It commonly refers to the ritualistic observances that devotees undertake, such as fasting, doing prayers, abstaining from certain types of food and drink, and going on a tirtha yatra (pilgrimage) and so on. Vratas are found to be used predominantly in Hindusim, Islam and Jainism. 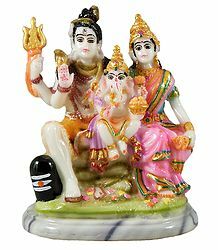 As mentioned earlier, Hinduism dedicates each day of the week to one or more God or Goddess and stipulates certain vrata and pooja vidhis (rules) to be followed every day. Interestingly, each of these vratas also features a story, explaining how and why the vrata came to be. In this post, we bring you the Vrata Kathas and Vidhis of Hinduism. 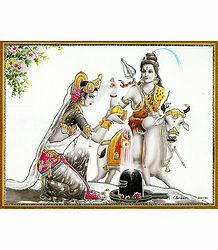 Monday or Somvar is dedicated to the worship of Lord Shiva and his consort, Goddess Parvati. 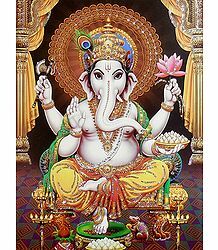 Their Elephant-Headed Son, Lord Ganesha, is propitiated at the beginning of the worship. Devotees visit Shiva temples and sing in praise of the Lord on this day. Shiva is associated with Chandra or the Moon. His colour is white and the gemstone associated with him is the pearl. The Somvar vrata or the Monday fast is observed from sunrise through sunset and the fast is broken only after evening prayers. It is believed that devotees who undertake this vrata will be granted wisdom and will be able to fulfill all their desires. Those facing marital troubles perform this vrata, in order to experience a better conjugal life. In some cases, unmarried women too undertake this vrata, in order to attract their ideal life partner. According to the Somvar Vrata Katha, there once lived a rich and pious merchant, who had a heart of gold. He was a good soul and worked tirelessly to help the downtrodden. He and his wife were childless and so, they prayed to Shiva to bless them with a baby. Looking at their plight, Parvati felt bad and suggested to Shiva that he should grant them the boon. Shiva thought about it for a while and then said that they would beget a baby boy, but he would live only for twelve years. While Shiva and Parvati were talking thus at the temple, the merchant overhear them. Though he was happy that they would soon be able to hear the patter of little feet, he mourned the fact that their joy would be shortlived. In due course of time, a healthy baby boy was born to the ecstatic couple. The merchant arranged for the boy to be taken to the holy city of Kashi, in order to complete his education. On the way, the father and son passed a palace, which was obviously decorated for a marriage to take place. Curious, they stopped at the house. There, they saw that the groom was half-blind and so; the bride was unwilling to marry him. The king (bride's father) then ordered his soldiers to find a good boy for his daughter. Seeing the son of the merchant, they brought him to the king. The boy was unwilling for the marriage and yet, the king forced him to give his consent for the same. After tying the knot, the boy continued on his way to Kashi. At this time, he crossed twelve years of age and fell seriously ill. Seeing his condition, the boy's maternal uncle asked him to observe the Somvaar vrata. In spite of being really unwell, he agreed and started the vrata. However, he died before he could complete it. the uncle then completed it on his nephew's behalf. Pleased with their devotion and dedication, Shiva brought the boy back to life and blessed him with a long life ahead. The boy then returned to his parents and new wife and lived happily ever after. This legend relates that observing the Somvaar vrata bestows all good upon devotees, granting them health, longevity, peace and prosperity. 1. The first is simple and involves fasting every Monday. 2. The second is the Somvaar Pradosha, which is a fast observed on the Monday falling on the Pradosha day. 3. The third is the Solah Somvaar vrata, which implies fasting on sixteen consecutive Mondays. The rituals are much the same for all types of Somvaar vrata. A special pooja is performed for Shiva and the end of this pooja, the Somvaar vrata katha is read out to all those present there. The most kind of vrata is to fast on all Mondays of the month of Shravan (June-July). According to legend, Parvati had worshipped Shiva throughout this month, in order to attain him. In one of her manifestations, she had taken human form as Dakshayani, King Daksha's daughter. She was in love with Shiva all her life. When she came of age, she desired to reunite with him in her divine form. To achieve this goal, she performed the Somvaar vrata and other austerities and finally, united with him. Hence, it is considered to be doubly auspicious. Tuesday is dedicated to the worship of Lord Hanuman, Siddhi Vinayak (one of the 16 forms of Lord Ganesha) and Mangal, the planet Mars. 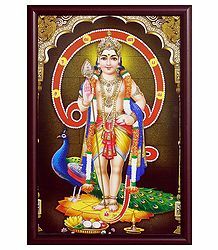 In South India, this day is also special for the devotees of Skanda (also known as Murugan or Kartikeya). 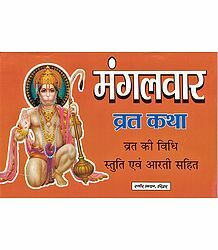 Devotees listen to the Hanuman Chalisa (40 verses on Hanuman) and seek his blessings to ward off obstacles and negativity that may impact their lives. Couples who desire a son also undertake fasts on this day. The fast is broken after sundown and comprises a meal consisting only of wheat and jaggery. Many followers wear red-coloured clothing on Tuesdays and offer red flowers to Hanuman. Red coral is the gem for Tuesday. Once upon a time, there lived a Brahmin couple who was childless. They desired a child and sincerely prayed to Hanuman. The Brahmin's wife undertook fasts on Tuesdays and, on Mondays; she would eat only after offering naivedya (offering of food) to the Lord. Once, she observed a special fast on the whole of Monday and so, could not offer any naivedya to Lord Hanuman. Feeling guilty, she decided not to eat anything till the coming Tuesday. This intense fast made her weak and she fainted. Seeing her condition, Hanuman took pity on her and appeared before her in the form of a child. He blessed her that she would have a beautiful son, who would constantly serve her. Saying thus, he vanished. Soon, she got a beautiful baby boy and named him Mangal. The Brahmin had been away from home all this while and so, he did not know of all the incidents that occurred over the last few months. When he saw a handsome child playing in his courtyard, he became suspicious about his wife. She assured him that she was chaste and that she had begotten the child because of Hanuman's grace. The Brahmin was not convinced, but he kept quiet. However, the doubt in his mind kept growing each day. One day, as he prepared to leave for his bath at a nearby well, the lady asked him to take Mangal along. He readily agreed, thinking that this would be a good opportunity for him to drown the child and get rid of him for good. As the boy went to fetch water, the Brahmin pushed him into the well and nonchalantly returned home. Not seeing the washed dhoti hanging on his shoulder, the wife queried him if he had actually had his bath. Feeling guilty, he answered in the affirmative. She then asked him where Mangal was – he had no answer to this. Realizing that her husband was the culprit, the lady lamented and prayed to Hanuman to return her child to her. To her greatest surprise, Mangal entered the house, embraced his mother and touched his father's feet. That night, Hanuman appeared in the Brahmin's dream and chided him for having suspected his virtuous wife's character. He also asked him to atone for his sins. Realizing his folly, the Brahmin changed his ways and apologized to his wife. Together, they prayed to Hanuman and observed fasts on all Tuesdays. Thereafter, they led a happy and peaceful life along with their son, Mangal. According to another Katha, there once lived a Brahmin called Nanda. He and his wife Sunanda were very rich and prosperous, but had no child. Sunanda fasted on all Tuesdays and prayed to Hanuman for a child. Pleased with her devotion, Hanuman blessed her with a baby girl, named Swarnalata. The child gave Nanda gold from all her eight limbs, every day. Now, Nanda became greedy and; not wanting to lose his daily share of gold; was reluctant to get her married. Sunanda finally managed to find a wonderful groom, named Someshwar, for her daughter. After the wedding, the couple went to their home. But the greedy Nanda arranged to murder his son-in-law, so that he could get his daughter back. However, Swarnalata was not prepared to come back. Instead, she wanted to jump into the pyre of her husband and give up her own life. 2. That devotees who observed Mangalvar Vrata would receive great benefits. Mangal Deva immediately granted both boons. The young couple then lived happily ever after. The family members get up early in the morning and take an oil bath in Ganga jal. They then wear red clothes and clean the puja place with holy water. The rangoli of an eight petal lotus is drawn in front of the altar and rice smeared with vermilion is placed there. Hanuman's idol is then installed on the lotus and poojas are offered to him. Red flowers, red cloth, sweets and other naivedya are offered to him. Devotees have only one meal that day and eat only satvik food, avoiding anything spicy, salty or oily. This fast is usually observed for 21 continuous weeks. On the final day, the Udyapan is performed and 21 Brahmins are fed. Alternatively, devotees give charity in temples. Mangalvar fasting bestows immense wealth, health, peace and prosperity on devotees and their families. Chanting the Hanuman Chalisa destroys the fear of death and negates the ill-effects of evil. Hanuman was the greatest devotee of Lord Rama. Hence, chanting the latter's name is even more beneficial. Hanuman visited Mother Sita (the consort of Rama) in Ashokvan on a Tuesday. She blessed him, saying that those who worshipped him on that day would receive blessings from her too. Sita is considered to be an aspect of Lakshmi, the Goddess of Wealth. Hence, the devotee would receive her grace too. Wednesday is dedicated to Lord Krishna and Vitthala, a manifestation of Krishna. This day is also associated with Budh, the planet Mercury. Some also worship Vishnu on this day of the week. Green is the colour of the day and onyx and emerald, the preferred gems. Budh is believed to be the wisest planet. It is closest to the sun and also the smallest in our solar system. 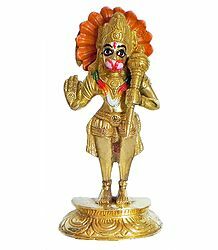 This deity is believed to bestow wisdom, wealth and knowledge on his devotees. Praying to him helps remove all obstacles, beget progeny, property and so on. There was once a newlywed, who went to his father-in-law's house on a Sunday. He planned to bring his wife back with him after marriage. He enjoyed his time with her family. Monday and Tuesday went by. On Wednesday, he told his mother-in-law that he had to return and also take his wife with him. She, however, refused to send her daughter, as Wednesday was inauspicious to do so. He told her that he did not believe in such things, but the mother-in-law was adamant and asked him to the come the next day to take his wife with him. He then stood his ground and demanded that his wife go back with him the same day. Finally, the girl's parents agreed and arranged a chariot for the couple. When they entered a small town, the wife asked him to get a pot of drinking water for her. He went to procure the same, when another man, looking very much like him, approached her with a pot of water. She mistook him for her husband and was chatting away with him. Returning to the chariot, the husband got annoyed at her conduct. The wife too was bemused, seeing two men looking the same. The impostor was actually Budh, taking the form of the husband. The three of them approached the king of the land, demanding a solution to their problem. The minister suggested that they be locked in three different cells, overnight, keeping a strict watch over all of them. While Budh slept peacefully, the real husband lamented, saying that he should have heeded his in-laws' words. The guards noted this behaviour and reported to the minister. The latter realized that the one who was restless was indeed the real husband and ordered that his wife be restored to him. They then freed the couple. When they checked the other cell, it was empty, in spite of it having been locked from the outside. The minister realized that it was Budh who had come there, in order to teach the young couple a lesson. Because it was a Thursday, Mercury had no work there and so, had disappeared exactly at sunrise. All members of the family wake up early and take a bath. They wear green garments, clean the house, install a bronze statue of Budh, undertake a fast and conduct prayers. They then read the story of Budh Devata. It is believed that those who listen to his story is cleansed of all his sin and will be blessed with peace, good trade, wealth and prosperity. Thereafter, devotees perform an aarti to Budh and distribute prasad to all around. Incidentally, the Budhvar Vrata Vidhi also includes making and eating food made with green items. Many start the fast on the first Wednesday of the Shukla Paksha (the waxing moon) and continue for 21 subsequent weeks. Thursday is dedicated to the worship of Lord Vishnu and Lord Brihaspati, the Guru of the Devas. The planet associated with this day, as also with Vishnu, is Jupiter. Yellow is traditionally Vishnu's colour. So, Hindus wear yellow-coloured apparel on this day and offer yellow-coloured flowers and fruits to the Lord. After they break their fast post sundown, they eat yellow foods, such as chana dal (Bengal Gram), ghee (clarified butter) and so on. Brihaspati, also called Guru, occupies the second largest position after the son. His worship is believed to relieve devotees from their ailments, gain strength and longevity, also freeing them from their sins. Guru grants the boon of progeny and good education. Once, Indra was feeling proud and vain and was regaling in his own power over the Devas. As Guru Brihaspati entered his celestial court, everyone but Indra rose to greet him. Indra never failed to show respect towards his Guur. However, he indulged in that discourtesy on that particular day. Feeling insulted, Brihaspati immediately left the palace. Indra then realized his mistake and repented for this sin of Guru Ninda. He also feared that his Guru's anger could cause him to lose all the wealth, prosperity and power he had gained so far. Indra proceeded to go to Brihaspati and apologize to him. Knowing that the former was coming to meet him, the latter avoided him and disappeared from there. Brihaspati then went to his own Guru, Shukracharya; requesting permission to attack Indrapuri. Shukracharya gave him the required permission. The demon God surrounded Indrapuri and issued a sudden attack there. In the absence of Guru Brihaspati's blessings, the Devas were routed and lost all the battles. Indra went to Lord Brahma, seeking a solution. The latter asked him to go to Vishwaroopa, son of the mighty Twashta. Vishwaroopa vanquished the demon Vrishvarsha, who was leading from the front. That way, Indra regained his kingdom. Indra then requested Vishwaroopa to become their family priest and conduct a yagna for their wellbeing. However, the latter having come from a demonic lineage, leaned towards the asura side and started praying for them. When Indra came to know of this betrayal, he beheaded Vishwaroopa. To his horror, Indra was immediately deformed, due to his sacrilegious act of murdering a Brahmin. Panicking, the Devas approached Brahma. Brahma, accompanied by Brihaspati, broke the curse of Indra's sin, by breaking up the sacrilege into four parts and granting them as boons to other beings. As a result, the earth, the trees and water abounded and flourished on earth. He also gave a boon of fertility, birth and motherhood to women. In this way, praying to Brihaspati releases one of his/her sins and grants them material and spiritual joys. As part of their Guruvar Vrata, devotees wear yellow clothes and use yellow sandalwood in their pooja. They eat only once a day, after sundown, including yellow foods in their diet. The pooja also uses a yantr, called the Brihaspati yantra. It is usually first worshipped in a temple and then handed over to the devotee, so as to invoke the Devata inside it. This yantra is placed on a copper plate, beside the idol of the deity. The Brihaspati mantra, "Aum Hreem Kleem Hoom Brihaspataye Namah", is chanted 108 times every day. Dry sweets are placed on a dish during prayer and this prasad is offered to one and all after the completion of the pooja vidhi. The Brihaspati Vrata can be undertaken any number of times. But devotees usually perform it for 7, 11, 21, 40, 48, 51, or 108 days; sometimes; even for a lifetime. Friday is dedicated to the worship of Shakti the Mother Goddess. The planet associated with this day is Venus. Goddesses Durga, Kali and Santoshi Mata are also worshipped on this day. White is the colour most associated with Shakti. White is a representation of purity and spiritual awakening. Other colours include violet, orange, purple and burgundy. The gem of the day is the brilliant diamond. The evening meal of devotees comprises white foods, such as payasam or kheer. Bengal Gram and gur (jaggery) are offered to the Goddess in order to appease her. Sour foods are avoided throughout the day. There once lived three friends, who were very close to each other. They belonged to Brahmin, Baniya and royal families. All of them were married, but the Baniya's son was still to bring his wife home after marriage. One day, the three were talking about their wives. The Brahmin and the prince advised the Baniya to bring his wife home at the earliest. He went home and told his mother that he wished to bring his wife from her maternal home. The mother asked him to wait a couple of days, as the planet Venus was still setting. She said that it would not be a good time to bring her now. However, the boy was insistent and so, the parents reluctantly agreed. Though the girl's parents were not too happy, they sent her with her husband to her marital home. The couple had hardly traveled beyond the town, when their bullock cart was damaged. The cart fell and bullock's legs were injured. The young lady also sustained injuries in the accident. In spite of this, the boy continued onward. On the way, they encountered some dacoits. They robbed the bride of her jewelry and beat up the boy. The couple just managed to escape and, at last, reached his home. As they were to enter, a poisonous snake bit him and he fell unconscious. His wife was shattered and wept bitterly. When the Brahmin's son came to know of this, he requested the Baniya's father to arrange a return journey for them. He averred that the boy would be out of danger if he went back to his in-laws' place. Sure enough, the boy recovered as soon as he reached his wife's place. He stayed there till Venus became visible in the sky – this was now an auspicious time to travel. He then returned to his own home with his wife and they all lived happily ever after. Having realized the true power of Shukra, he started observing the Shukravar fast regularly thereafter. Devotees undertaking Shukravar Vrata wear white clothes and fast all day long, eating only after sunset. The Goddess is propitiated in her multitudinous forms. Songs and sung and hymns are chanted in praise of both Shakti and Shukra. Prasad is then offered to everyone. Only white foods are consumed, after sundown. It is believed that those who propitiate Shukra on this day are blessed with longevity, peace and harmony in the family. Ladies undertake the elaborate Santoshi Mata Vrata to appease the Goddess. Santoshi is another form of Parvati. An old woman had seven sons. The youngest one was irresponsible and hence, she always served him the leftover of his brothers' meals. His wife felt bad about this and told her husband. The boy felt insulted and left the house in search of his fortune. He began to work under a merchant and soon became wealthy. However, he forgot about his wife and did not care that she was tortured by his parents, in his absence. 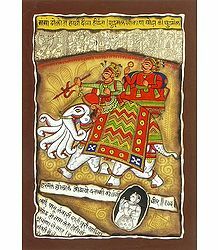 The wife came to know about the Santoshi Mata Vrata and performed it. The Goddess appeared in the husband's dream and showed his how his wife was suffering. He immediately returned home and setup a separate household with his wife. During the Udyapan ceremony of the Vrata, the in-laws plotted against the wife and served sour food to the boys. This angered the Goddess and as a consequence, the boy was arrested. The wife again performed the vrata and the udyapan. She then got him out from prison and soon, bore a son. A few days later, the Goddess visited them in a terrifying form. The in-laws fled from there, but the wife recognized her Ishtadevata and worshipped her. The in-laws came back and begged for forgiveness. Pleased, Santoshi blessed the entire family. The Santoshi Mata Vrata is to be observed on 16 consecutive Fridays, or until the devotee's wish is fulfilled. The Goddess is offered flowers; incense; and gur-chana (raw sugar and roasted chickpeas). The devotee gets up early in the morning, takes a bath and prepares for the vrata. She avoids eating and serving bitter and sour food. Once the wish is granted, she organizes an updayan ceremony, to mark the completion of the pooja. Here, eight boys are served a festive meal. 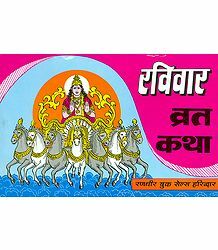 The Santoshi Mata Vrata stipulates strict adherence to all rituals and hence, only those who are really sincere are advised to go ahead with it. Saturday is dedicated to the much-feared God, Shani, who is associated with the planet Saturn. According to Hindu mythology, Shani brings bad luck, if provoked. Devotees undertake severe fast in order to appease him and seek protection from negativity, misfortune, suffering and similar other problems. After sundown, they break their fast by consuming food prepared with black sesame oil or black gram, cooked without salt. Followers of Shanivar Vrata visit Shani shrines and offer black-coloured clothing, sesame oil, and black beans and so on. Many also worship the holy peepal (Indian fig) tree and tie a thread around it bark, praying for protection. Others propitiate Hanuman, who is known to mitigate and even destroy the ill-effects of the terrible deity's wrath. Shani's colours are black and blue and his gem is blue sapphire. People additionally wear black iron rings made of horseshoe, in order to ward off Shani. Once, there was a controversy among the planets. They argued about who was the strongest among them. Seeing no immediate solution, the Devas asked Indra to make a decision. Indra, however, was scared of entering into this sort of debate and, instead, asked the Devas to approach the mighty and wise King Vikramaditya on Earth. When they approached Vikramaditya, the latter got worried. He knew that he was in a dangerous situation and that belittling any one planet would seriously upset them. He thought a while and then made nine thrones with gold, silver, bronze, brass, lead, ranga, zinc, mica and iron. He placed them in the same sequence. He then asked all the planets to take their place on their thrones and said that the one who sat on the final throne would be considered the smallest. It so happened that Shani Deva was the last one to occupy his throne. Hence, he was considered to be the least strong among them all. Shani immediately got insulted, thinking that the king had done this on purpose. He claimed that, while all the other planets enjoyed a time period of only a few weeks, he could live on for seven and a half years (the sade saati). He also said that his power was so immense that he could destroy anyone he wanted. The deity then started troubling Vikramaditya for his impudence. Vikramaditya was immediately afflicted by the sade saati dosh and he fell into abject misery over the next seven and a half years. He lost his way in the forest, roamed around aimlessly, was charged for theft and even lost his legs. Finally, he got a job as a seed crusher. He used to sing melodiously while working. Charmed by his music, the princess of the land wished to marry him. Though the ruler was reluctant, the princess was adamant that she would marry only Vikramaditya. So he arranged their marriage. However, the troublesome period of sade saati was over and Vikramaditya got back his limbs and came back to his original glory. He married the princess and returned to rule over his kingdom for a long time thereafter. 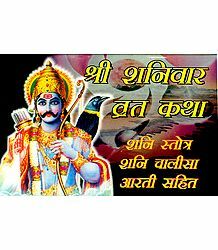 Having learnt his lesson, Vikramaditya regularly performed the Shanivar Vrata, in order to receive Shani Devata's blessings. Shanivar Vrata commences on the first Saturday of the Shukla Paksha (waxing moon) of any month. The fast is observed every Saturday for 11 or 51 weeks, as the devotee wishes. An Udyapan ceremony is performed to mark the end of the vrata. The devotee takes a bath early in the morning and wears black or blue clothes. 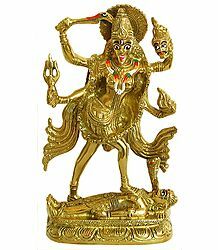 Installing and worshipping an idol of the deity made of iron is considered to be extremely beneficial. During the pooja, black flowers, black sesame and black clothes are gifted to Shani Devata, along with boiled rice. The pooja then concludes with the devotee chanting the Shani mantra and reading the Shanivar Vrata Katha. The devotee can then visit the temples of Hanuman, Lord Bhairav (a terrible aspect of Shiva) and Lord Shani as well. The deity is offered til oil, black gram, black sesame and black clothes. After fasting all day, he or she consumed food two hours after sundown. This vrata is considered to be the most significant and most beneficial among all vratas. It especially helps those who have a weak Shani in their Kundali (horoscope). It also helps mitigate the ill-effects of having a weak Shani in the horoscope. This vrata is also advised for those who are undergoing the sade saati phase, dahiya, mahadasha or antardasha. 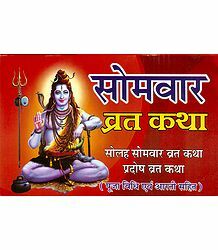 It is believed that Shanivar Vrata frees one from various health conditions such as joint pains, back pain, muscle pain and similar other disorders and grants him or her good health, longevity, peace and plenty. Sunday is dedicated to the worship of Lord Suryanarayana or Surya, the Sun God. Devotees undertake this vrata in order to appease the effulgent deity and receive his grace to lead a healthy, happy life. Red and pink are Surya's colours and his gem is the ruby. On his day, Hindus wear red, apply some red sandalwood paste on their forehead and offer him red flowers. Surya Devata enjoys a formidable place among the Navagrahas (nine planets). Even in the Navagraha Shanti Vidhi, only the Sun God is capable of giving peace to all the planets, because he is the King of the Navagrahas. In the olden days, there lived an old man in Kanchanpur. He regularly observed the Ravivar fast. Every Sunday, he would get up early in the morning, take a bath, clean the courtyard with cowdung and then sincerely worship Surya. Pleased with his devotion, Surya granted him much peace and prosperity. Seeing the old couple doing so well, their neighbour got jealous. The old man did not own a cow and so, used to procure the cowdung from them. One Sunday, the neighbour refused to give him the dung to clean his place. That day, his entire worship schedule fell apart, as he was not able to clean his place. The old couple was distressed that they could not complete their pooja vidhi that day. That night, Surya came in her dream and asked her why she had not worshipped him during the day. The old lady narrated her sad story, saying that, had she owned a cow, she could have procured the dung herself and then, would have been able to perform the pooja as usual. Taking pity on her, Surya blessed her with a beautiful cow. The next morning, the old lady was surprised to see a cow in her courtyard. To her amazement, the cow gave dung of gold. Seeing this, the neighbour became even more jealous. The next morning, the neighbour took the cow away, before the old lady woke up. In spite of the cow not being there, the old couple continued with their regular Sunday prayers. Lord Suryanarayana was watching all this and decided to teach the neighbour a lesson. He brought the cow back to its rightful owner. Not able to tolerate this, the neighbour approached the king and told him about the cow giving gold. Not believing her, the king ordered his soldiers to check on the old couple. Seeing that the cow indeed gave gold, the soldiers went back to the king and narrated the incident. Wanting to possess this extraordinary animal, the king ordered them to bring the cow to him. He then told the couple that he would own it from then on. 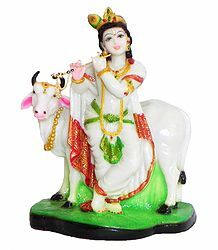 Enraged by this, Surya appeared in the king's dream that night, threatening to unleash storms and other natural calamities on the land, if the king did not return the cow to the couple. Frightened of the consequences, the king gave the cow back to the old couple and apologized to them; also arresting the neighbour for her adharmic behaviour. He then ordered that all his subjects undertake the Ravivar Vrata in order to gain the grace of Lord Sri Suryanarayana. The Suryanarayana fast commences from the first Sunday in the Shukla Paksha of the Ashwin month. Devotees get up early every Sunday morning, take their bath and begin their worship of the Sun God. After installing the idol, they offer items such as candle, red sandalwood, red cloth, gulal and jaggery to the Lord. Then they recite the Suryanarayana mantra , sing songs in praise of the deity and read his vrata katha. They break their fast only after sundown, avoiding sour, oily and salty foods. 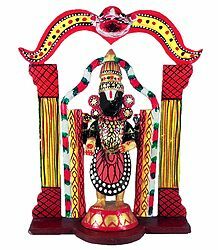 The deity can also be worshipped in a temple dedicated to him. At the end of the vrata, 15 Brahmins are invited to partake of a feast and items such as barley, wheat, gram, til (sesame) and urad dal are given away to them, along with clothes and dakshina (money). Devotees also give alms to the poor and needy on the final day. The festival of Suryushthi or Chhath Pooja is celebrated in a big way on the sixth day of the Kartik Shukla Paksha. This is an important festival in the whole of North India. 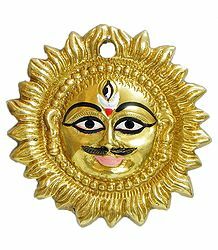 It is believed that invoking the blessings of Surya Devata helps alleviate devotees' eye and skin diseases and also destroys conditions such as leprosy. Undertaking the Ravivar Vrata is believed to bestow good health, great luck and longevity on the devotee. Different sects of Hinduism narrate different versions of vrata kathas; stipulating varied vrata vidhis as well. However, the main aim of these tales and rituals is to help devotees practice shraddha (faith) and bhakti (devotion); focusing on their ishta-devata; and, in that way, achieve a certain degree of mukti (liberation), while still living in samsara (material life).